Find out what’s new on the listening post in the Arts reading room. We’re featuring a holiday season selection of festive, popular, opera and film music on CD. There are some great new arrivals in pop, rock, film soundtracks, opera and classical featuring the following additions to the Library’s music collection, currently showcased on our wonderful new listening posts in the Arts Reading Room. Warm up the coldest winter with some great new arrivals in pop, rock, jazz, musical theatre and film soundtracks featuring these wonderful additions to the Library’s music collection. New Listening in Arts: Shows & Soundtracks : Bright Star to Chinatown, and much more. Some great new music in Arts from pop to classical, and quite a few points in between. 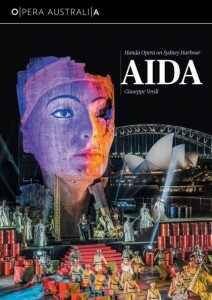 New Sights & Sounds : Aida, Autumn, Peter, Puccini, & much more. Some great new audio and video arrivals in Arts include latest releases in opera, pop, rock, classical music and film soundtracks. So, you want to be a librarian?